We very often find ourselves having the great urge to want to get away from our busy lives, and the best solution to that generally ends up with one common answer, travelling. It is not a novel thought that travelling can have multitudinal positive aspects. We get to experience new cultures - increasing our cultural awareness, spend quality time with our travel partners and also not to forget, get to relax and relieve stress! However, when you suffer from a chronic illness which could make simple day-to-day tasks like even getting out of bed a chore, travelling could end up becoming a huge nightmare. Especially when you suffer from migraines, small changes in the environment, weather or even your diet could result in excruciating pain. If you travel by air in particular, you could be subjected to multiple migraine triggers including skipped meals, weather/air pressure changes, dehydration, skipping meals, dehydration and even bright lights or smells. When you’re trapped in a flying metal container and thousands of feet above the ground, having a pounding pain which feels like a hammer constantly ramming into your skull is definitely not a fun time. With that, we’ve compiled a list of tips and tricks for all our wanderlust migraineurs, that will hopefully help make your getaway a little more smooth sailing! 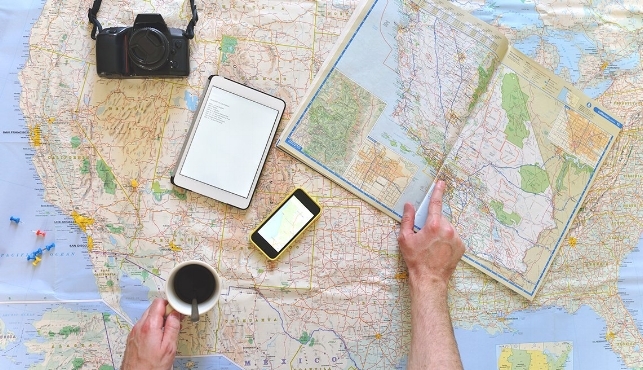 Unless you’re the type who loves to be spontaneous, remember to plan your trip a few weeks ahead and have a clear travel itinerary for your entire trip! Planning not only helps to reduce unnecessary stress during the trip, but also builds excitement and gives you something to look forward to pre-trip. However, once you’ve arrived at your destination, don’t be too bent on having to strictly follow your plan. Once in a while, having unexpected adventures could end up being the highlight of your trip! Keeping to your regular schedule could also help keep you migraine free throughout your trip. Don’t worry about losing precious “holiday time” because you need to take a nap, you’ll have plenty of time to have fun in between! As mentioned earlier, some of the other more common travel triggers could include weather/pressure changes (cabin pressure on planes/pressure at destination), dietary changes, stress, motion sickness and even jet lag. Remember to always research for ways to avoid each of your triggers before your trip. For example, if you know you have certain food triggers, try to stay away from those foods during the trip. You don’t have to be “adventurous” just because you’re in a new place. Carrying snacks and a bottle of water on hand at all times (even on flights/on the road) could help avoid skipped meals. You know yourself best so try to keep things in moderation where you can. Making preparations beforehand to avoid your triggers may seem tedious but you’ll thank yourself later if you stay migraine-free during the whole trip! If you haven’t identified your triggers, using a tracking app like Migraine Buddy could help you fin your triggers more easily. If you are travelling by air, pack your medications in your hand-carry/carry-on luggage. We hope this doesn’t happen to anyone but should the airline lose your luggage, at least you would still have your medications with you in case of an attack. Furthermore, if an attack comes during your flight, you’d be ready. You never know what may happen during your trip, so bringing extra migraine medication with you would be a good tip. Bring double of the amount you think you need and make sure all your prescriptions are up-to-date. It’s always better to be safe than sorry! It might be a good idea to also inform your doctor of your travel plans and see what advice they might have for you. If you are travelling alone, inform someone of your condition, even if it’s the hotel staff at the hotel lobby or a flight attendant! Who knows, they could be of service to provide you with ice or even a blindfold when you need it. Of course, the best case scenario would be to travel with someone who understands your condition well and is willing to accommodate to your condition during your attacks. Don’t be afraid to speak up and tell your friends and family if you are not up for an activity, you’d ultimately be the one having to pay for the pain so pass up on activities you know your body can’t take, there will always be other occasions. Should you really experience a migraine during your trip and you are travelling with others, make sure that your absence would not affect the plans of the rest. It is always good to have alternate plans for you and your travel partners. You might need something to keep you entertained when you’re recovering, so download a few movies or even an e-book just in case! Don’t feel devastated that you missed out on any activities. Who knows, you missing something could be a blessing in disguise for another adventure coming your way? We hope this short list could help all you wanderlust migraineurs and may your trips be safe and migraine free! Have we missed out any travel tips or essentials? Feel free to share with us your travel experiences!